Fairy Tales Against Humanity, a new comedy show created and directed by JP Karliak, will play three performances at the Lounge Theatre on Santa Monica Boulevard as part of the 2016 Hollywood Fringe Festival, it was announced today. 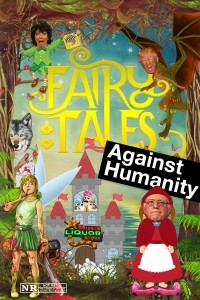 Fairy Tales Against Humanity is set to run on Sunday 6/19 at 5:45pm; Thursday 6/23 at 7:45pm; and Sunday 6/26 at 3:45pm. The show features an accomplished cast of comedians (in alphabetical order) — Amanda Barnes, Gillian Bellinger, JP Karliak, Danny Lutman, Andy McDuffie, Chris McGowan (co-producer), Alain Pierre, Matthew Schlissel, Travina Springer, Amanda Tate, and Michael Tauzin. In addition, special guests will include video game voice-over star and dungeon master of Geek & Sundry’s Critical Role Matthew Mercer (6/19); Rotten Tomatoes Senior Editor Grae Drake (6/23); and the hilarious host of LOGO’s Cocktails and Classics Drew Droege (6/26). Like children’s theatre gone horribly wrong, Fairy Tales Against Humanity is a new half-improvised, half-scripted show making its world premiere at the 2016 Hollywood Fringe Festival after a workshop production at Second City Hollywood. A cast of improvisers will take fairy tales and fables — and with suggestions from the audience and special guests — twist them into hilarious abominations that would make Mother Goose cry. Plenty of audience participation and surprises await. Running time is 90 minutes. Creator and director JP Karliak is a voice-over artist, writer, and solo performer. He is the voice of Wile E. Coyote in the Cartoon Network series Wabbit: A Looney Tunes Prod., and has played multiple heroes and villains for Marvel. On-Camera work includes Real Husbands of Hollywood and Ringer. LA theatre appearances include The Mistakes Madeline Made, The Girl, the Grouch & the Goat, Into the Woods, and Inherit the Wind. A graduate of the USC School of Theatre, iO West, and Second City Training Center, Karliak has written numerous short films and plays which have been produced in venues around the country. 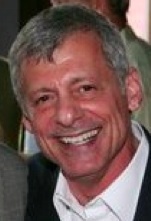 His full-length solo show, Donna/Madonna, garnered awards at the United Solo, New York International Fringe, and San Francisco Fringe Festivals. Tickets for Fairy Tales Against Humanity are $15 and may be obtained online at http://www.hollywoodfringe.org/projects/3738 or by calling (323) 455-4585. The Lounge Theatre is located at 6201 Santa Monica Boulevard (at El Centro), in Hollywood, 90038. For more information, go to www.facebook.com/ftahcomedy.